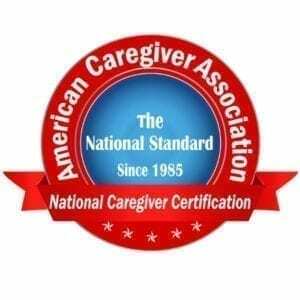 The American Caregiver Association is the National Certifying and Accrediting Organization for caregiver certification in the United States. 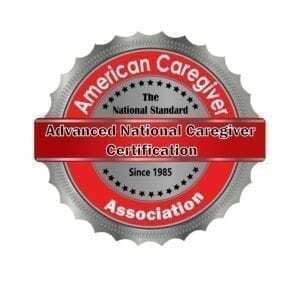 The ACA has been around since 1985 and as the National Standard we offer you a convenient and simple way to become a certified caregiver by taking our National Caregiver Certification Course (NCCC). Best of all , the NCCC is inexpensive at only $79.00, which makes taking the course affordable. Get the NCCC course here and watch the video below to learn how simple the certification process is. WATCH THE SHORT VIDEO BELOW TO LEARN HOW EASY AND CONVENIENT THE CERTIFICATION PROCESS IS. 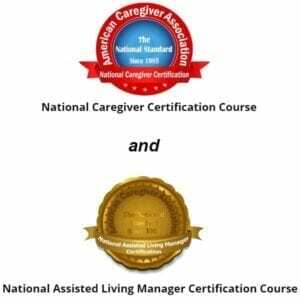 You can also acquire National Assisted Living Manager Certification (NALMCC) through the ACA for $79.00. Or, if you want, you have the option of getting both courses in a bundle for only $139.00. We also invite you to become a certified member of the ACA. Cost is only $25.00 annually. Please visit our online store here for more information. 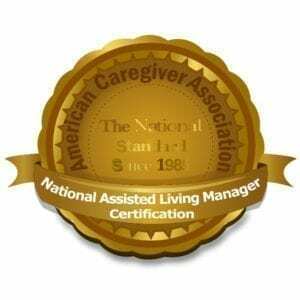 ​Getting care giver certification, or assisted living manager certification with the American Caregiver Association is a wise decision because of the credibility of our long established name and reputation, as well as the fact that our certification is on a national level. ​Our students come from all over the world and from all walks of life. Likewise, our students vary in experience from beginner to very skilled and knowledgeable, but they all have one thing in common. They are all caregivers and all part of the ACA family. Further, regardless of what specific area of the caregiver field that you are looking to get into our caregiver training courses provide you with the insight that you need to start your career as a certified caregiver for the elderly or manager of your own caregiver organization. 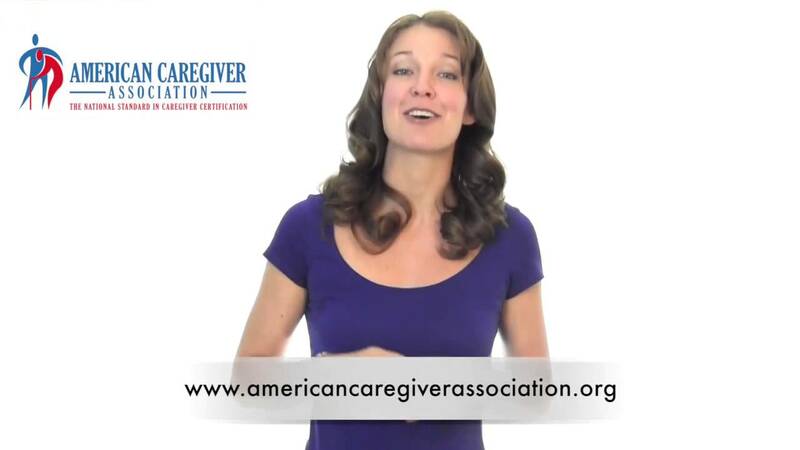 Likewise, acquiring your caregiver certification with the American Caregiver Association provides you with the opportunity to enhance your skills and knowledge as you move along in your career. 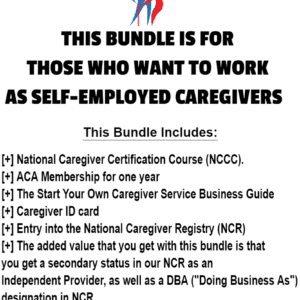 All this without having to pay hundreds or even thousands of dollars, but with all the benefits of being part of the ACA family, including status in the National Caregiver Registry (NCR). 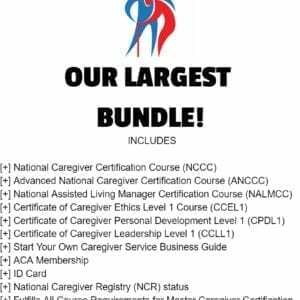 Finally, you profit by taking our courses in terms of the opportunity to augment your chances of finding gainful long term employment as a caregiver or manager. Having the ACA name on your resume will impact your job search prospects in a substantial way, and many of our students have told us this over the years. With this in mind, we invite you to take one or all of our courses and become part of the largest caregiver and assisted living manager family in the United States. The American Caregiver Association's unifying vision is to bring awareness to as many people as possible about the issues and challenges that our aging seniors face. It is also our vision to be a leader in expanding the knowledge base of the caregiver profession in our collective effort to ultimately secure a better quality of life for every senior as they live out the twilight of their life. How long does it take to complete the caregiver training course, or assisted living manager course? How long you take is up to you. You can take two days or two weeks if you need or want to. The entire certification process is done electronically, and the courses are self-study and are completed at your convenience and time frame. This puts you in control of your learning. Also, there are no time limits as far as taking and completing the course or exam which is nice to know, especially if you have a hectic life or busy work schedule. This makes the courses flexible, but informative. Is there a fee for the caregiver or manager exams? Do I need to have a PayPal account to purchase a course? No. PayPal is the processor of the order, but you do not need to sign up for PayPal to purchase any ACA course. When PayPal processes your order you are treated as a "guest" of PayPal, with no requirement to create a PayPal account. You will be able to use your credit or debit card to checkout. Our order process is fast, secure and simple. It's that easy. Can someone else pay for a caregiver or manager course for me? Yes. You can have someone else buy any ACA course for you using their debit or credit card. Just provide the name and email of the individual who will be taking the course on the billing details page during checkout. There is a box to the the right of the billing details called "Additional Information." In this box you can type in the caregiver's name and email. Can I take a course if I don't live in the United States? Yes. Anyone is welcome to take our courses and get certified through the ACA. 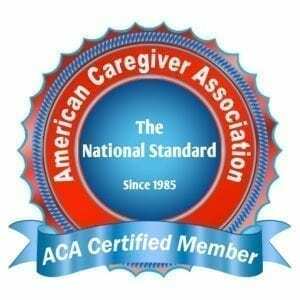 In fact, the American Caregiver Association is the world leader in certifying caregivers from other countries. Likewise, we are proud to have the largest number of certified caregivers from other countries in our caregiver family. Is a Home Health Aide the same as a Caregiver? Yes. Home Health Aide is simply another name for caregiver. You may also hear of other names such as Direct Care Worker, Personal Care Assistant, Direct Care Professional or Caregiver Companion,etc. While there may be some differentiation in training depending on where you acquire your training, at the end of the day a Home Health Aide, etc., are all caregivers. More often than not, it is the 'level of care' of the resident and the venue in which you work that will dictate the tasks you perform as a caregiver. And, most of the time the duties are the same or similar regardless of title, designation or training. "This course is an excellent tool. Everyone should take this course." "It was a good refresher course for myself. It refreshed my memory of useful information. ."
"I found the course interesting and informative"
"I liked the course and found it to be very instructive and practical. And I appreciate the opportunity to become certified. Thank you so much for making this online course available and affordable." "The course helped me structurize my knowledge"